ECG monitors are used during Electrocardiogram tests, in order to check the activity of the heart. Earlier, traditionally designed monitors have used that convert the testing data into graphical lines on paper; but, in today’s time, these monitors are digital in operation and effectively stores the recorded data for future diagnosis and retrieval. 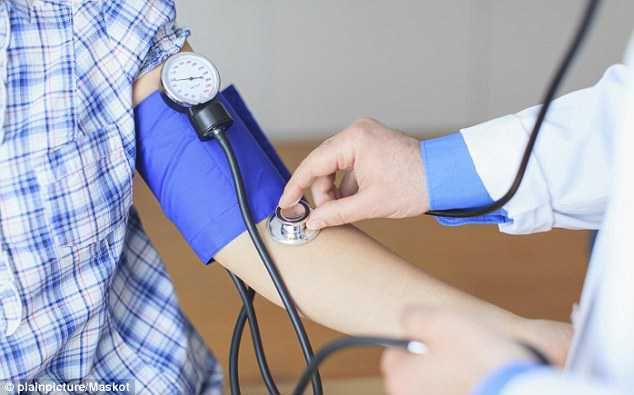 Instead of performing various time-consuming tests, doctors usually recommend going for ECG-EKG monitor to examine the potential problems in the heart. 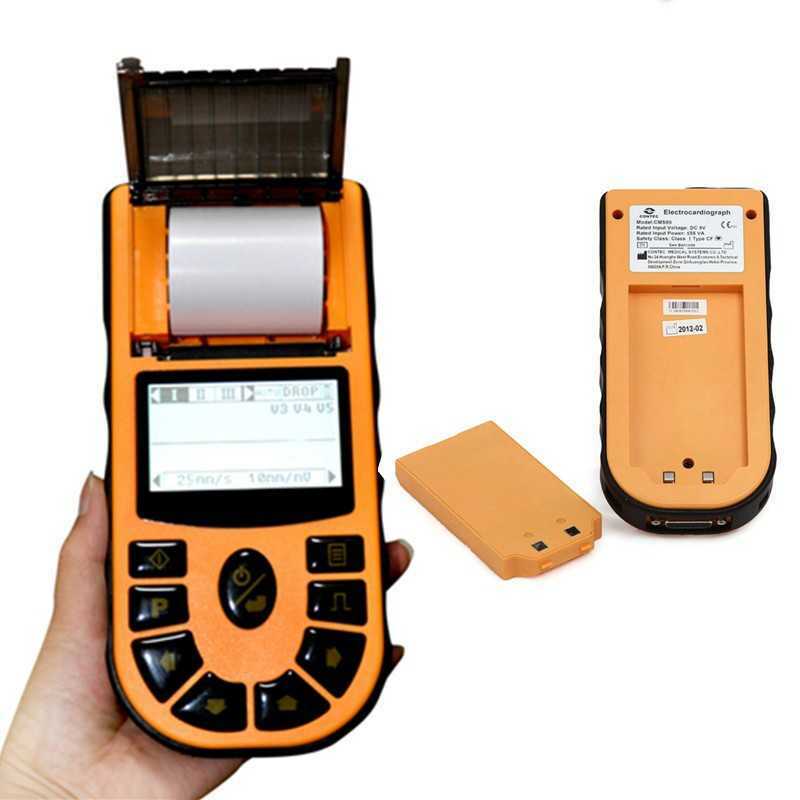 If you are buying an ECG monitor, there are a number of things, you need to consider, like memory storage and limits, data transmission modes, measurements time and more. This ECG monitor is small and portable in design and is quite an easy-to-use. You can use this device anywhere, anytime to keep track of the activity of your heart. 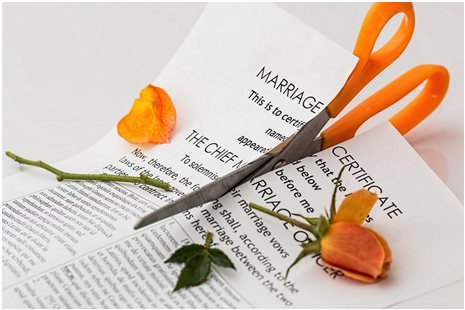 It also helps primary care physician or cardiologist to get a proper and right idea regarding the type of treatment you require. The measure, record and display ECG waveforms and heart rates. Capable of transferring data to management software through USB capable. Shuts down automatically after some time to save battery power. Takes only 30 seconds for measurement. Capable of storing 500 results at a time. It lacks a rechargeable battery. The device also does not come with any wireless functions. This portable designed ECG monitor accumulates 12-lead ECG waveforms to let you make use of the data in a number of ways. It can be used both for personal and professional needs. Comes with touch keyboard to conveniently start data reading, digital display, and set various filters to change the reading. Uses digital signal processing technology for top-quality ECG waveforms. It has multiple waveform filters such as AC, baseline, and EMG. Its recording frequency is up to 150Hz. Has Auto mode for easy reading and printing of data with just press of a button. Portable and wireless in nature and has a detachable battery. Does not include any software to analyze data. Has limited readout displays, which requires professional assistance for reading. This handheld and user-friendly monitor assist you in keeping track of the health of your heart effortlessly from the comfort of your home. Small and portable in nature; therefore is travel-friendly. Has an LCD display to view the results in real-time. Uses a set of dry-conduction thumb electrodes for monitoring your heart wave patterns. Takes only 30 seconds for testing. Comes with PC software to analyze and manage test results. Does not comes with rechargeable batteries. 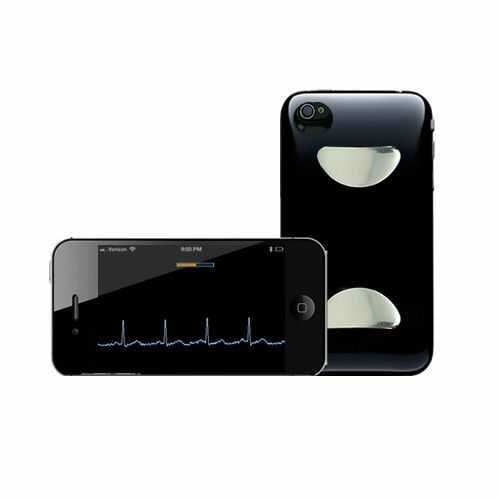 This iPhone ECG monitor is capable of performing various tasks. You simply need to connect it to your latest iOS device and take ECG readings, using a pair of built-in sensors. It can be used by anyone, but requires a physician’s prescription. Comes with user-replaceable coin batteries. Stores result in an HIPAA-compliant web portal for added safety. Batteries are not rechargeable in nature. Without physician prescription, it works in over-the-counter mode, allowing you to view only limited details. Requires Bluetooth connectivity to function. This small and handy ECG monitor is useful to figure out various potential heart issues, like arrhythmias or irregular heartbeats. 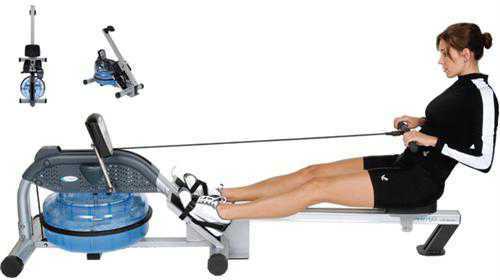 It is recommended to be used by athletes and senior citizens. 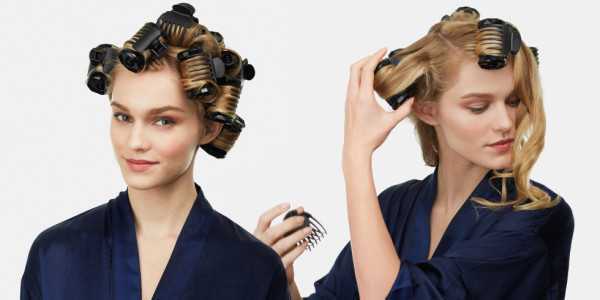 Also, it can be used in home-care facilities and nursing homes. Takes accurate heart reading in just 30 seconds. Capable of storing up to 200 ECG readings at a time. Comes with handy software, which allows you to connect it to PC for proper analysis and storage of heart readings. Offers 4 different options to take readings. 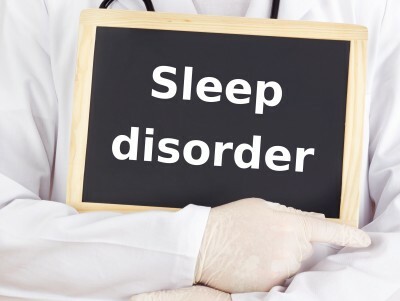 Can be used only by a valid prescription from a healthcare professional. 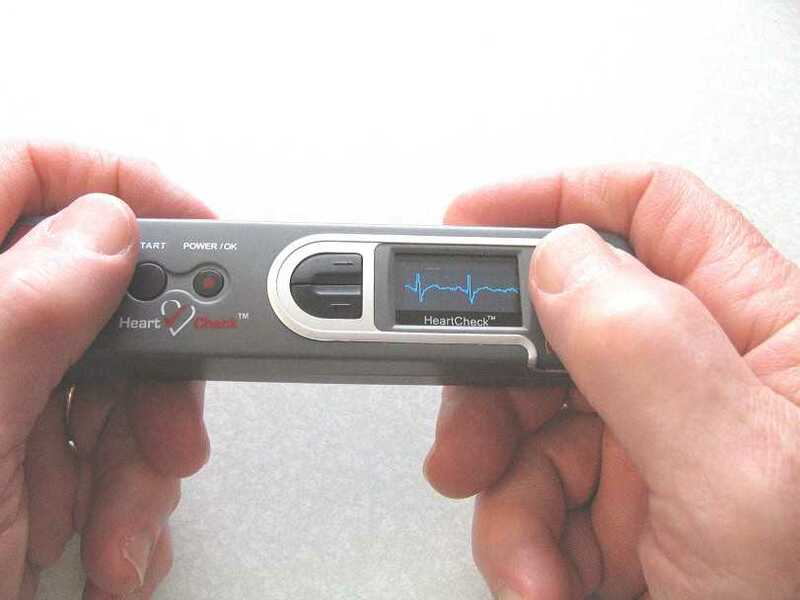 This handheld ECG monitor can be used only by the patients. It is capable of providing a precise diagnosis on par with the help of professionals. Compact and lightweight in design, thus, can be carried away anywhere with ease. Takes only 30 seconds for testing, and stores up to 300 records. 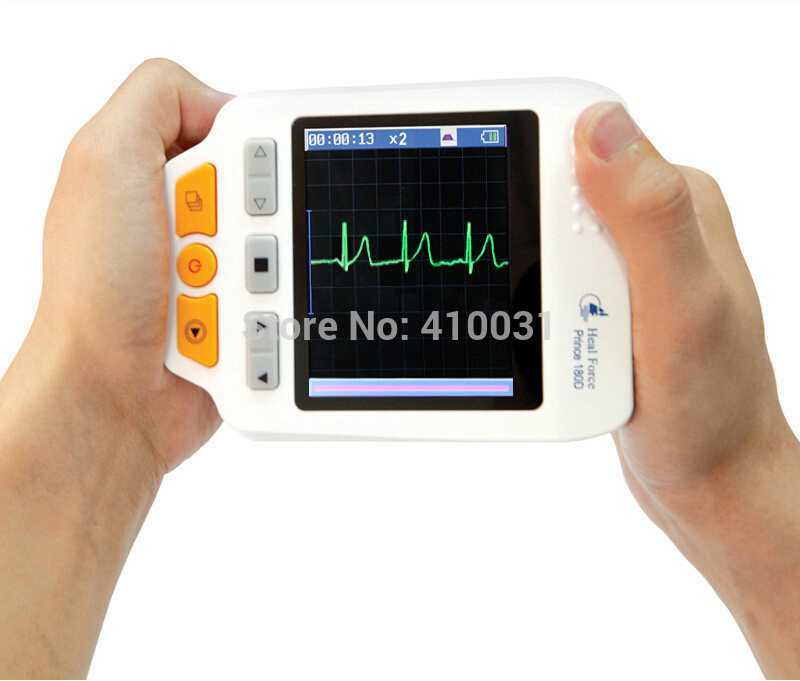 Gives single-channel ECG waveform analysis either with or without electrodes. 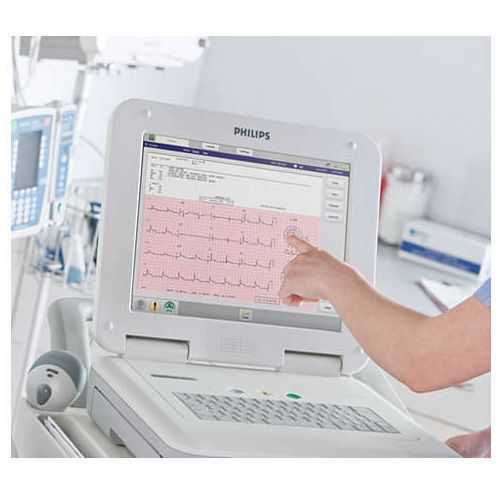 Display results with up to 17 different types of ECG waveforms and heart rate. Comes with high-resolution LCD display. Automatically power-offs after 35 seconds of idle time. Comes with PC software for data analysis and storage. Does not have rechargeable batteries. 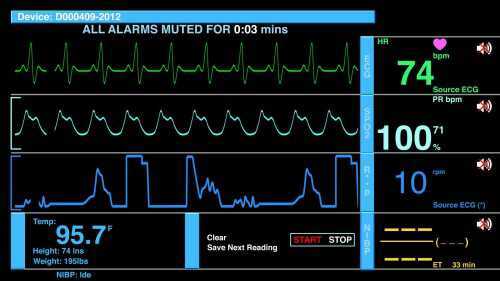 Using this ECG monitor, you can easily track your heart’s activity, without the need of a doctor. Using this device, you can track heart pain, palpitations, and breathing shortness, even though the symptoms are transient. Take just 30 seconds scan and record time. Comes with SD card slot for easy data storage and accessibility. Comes with built-in chest and finger electrodes, which makes it more user-friendly. High-resolution display screen with backlight system. This is an industrial-grade heart rate monitoring device, which comes with a full suite of advanced diagnostics. Usually, it is used in hospitals and other medical centers. Uses 3-in-1 Trident lead wires, having minimal tangling. Capable of using 16 leads simultaneously to carry out various tests. Gives a 20-minute history of all 16 leads jointly. It is not portable in nature. This portable and pocket-friendly ECG monitor is capable of recording heart rates effectively. You can easily use this device at home or on-the-move. Has one-button operation and comes with LCD display. Built-in PC software for detailed display and analysis of data. Capable of storing 99 results or recordings. 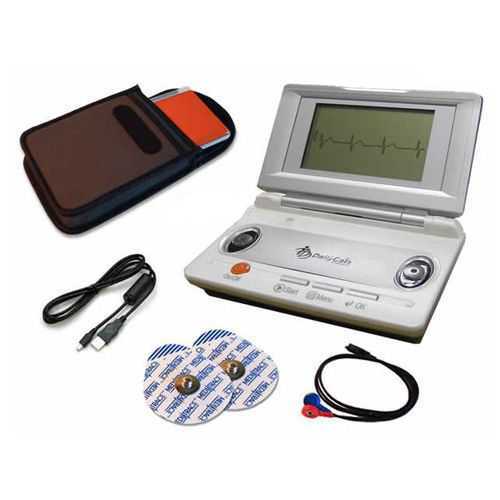 This ECG monitor comes with single channel recording functionality and is designed to be used in homes. Capable of storing up to 1,000 records at a time. 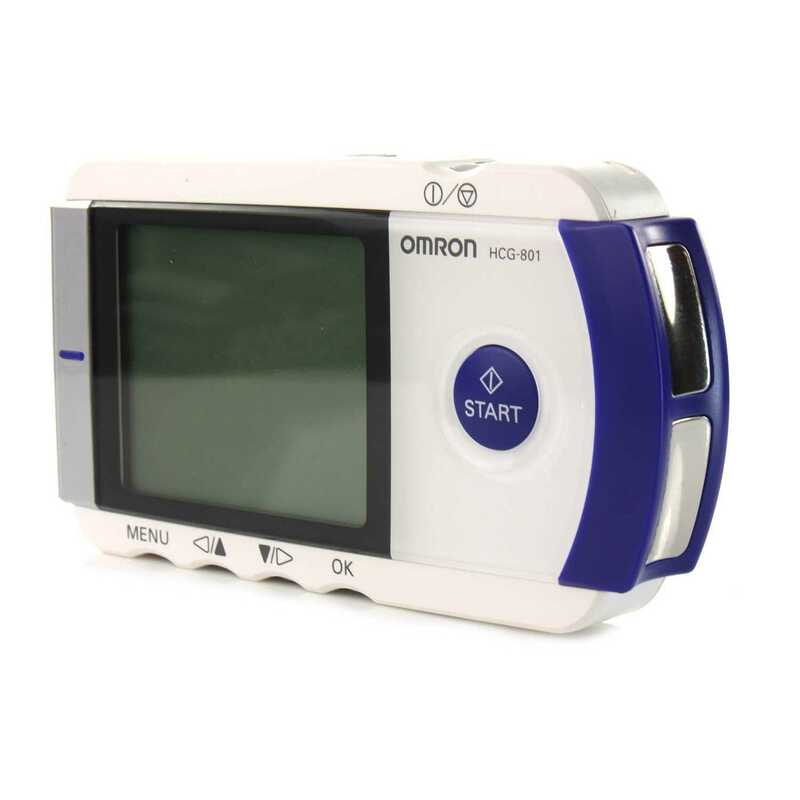 Offers two different options to take ECG ratings. 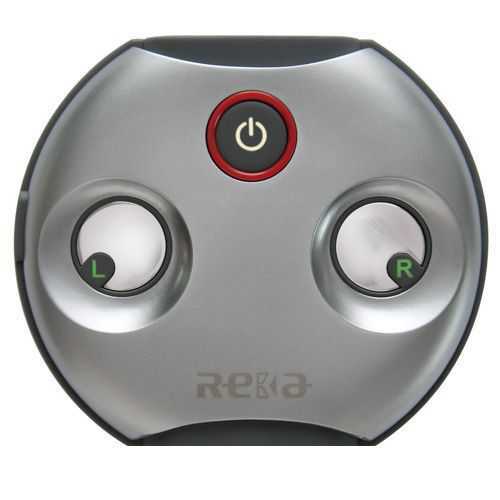 Capable of uploading 30-second records to the REKA Cloud. Comes with built-in platinum electrodes. 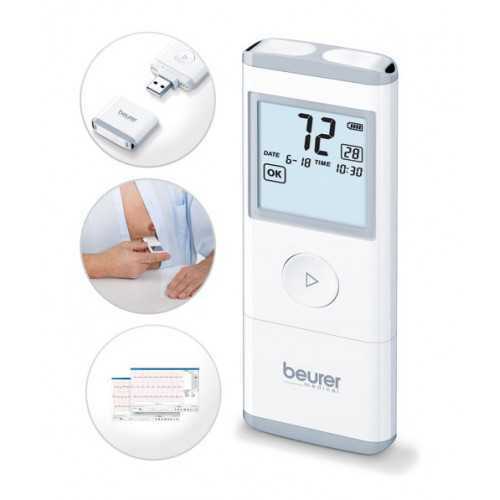 To avoid unusual problems, one can use these portable, user-friendly, smartly designed and high-performing ECG monitors to diagnose effectively heart issues, and keep track of the heart activities. These devices can be conveniently used in homes, hospitals and other medical centers.